20 pallets of RPG blocks arrived late last week, 12 pallets of 12″ blocks (which will become the frieze and the columns in the Music Room) and 8 pallets of 8″ blocks (which will provide diffusion below the soffits in the control room, booths A and B, and below the control room window in the Music Room). The first order of business is to get a sense of how many blocks sustain what sort of damage on a random pallet. To do this, we unpack all the blocks and inspect them. After getting some idea of how many “perfect” blocks there are (which will go into the most visible locations), we then have several ways we can play the imperfect ones. There are hundreds of blocks that need to be mitred, some half-and-half, some 3/4ths and 1/4th. There are hundreds of blocks that will be behind soffits, hidden by ceilings, obscured by blocks in the frieze, and so high up and far away that many blemishes will be completely hidden. But, how to read each blemish, and how to determine the best use of a given block given its physical characteristics…that’s a bit like knowing when to slough off a loser, when to play a winner, and when to call trumps en route to a grand slam. Difficult, yes, but doable. And like bridge, we’re not going to proceed by stages, or tricks if you like. We’re going to compute how many of what sorts of blocks we need for each 2′ of wall height (3 courses), and we’re going to grade the blocks into their respective categories with an eye toward what mix we need for each 3 courses. The first 12 courses are the most critical, as they will be all the blocks that are fully visible and can also be touched by hand. We want those to be the absolute best. The next 3 courses we’ll have some relief as the soffits will shade many of the blocks. 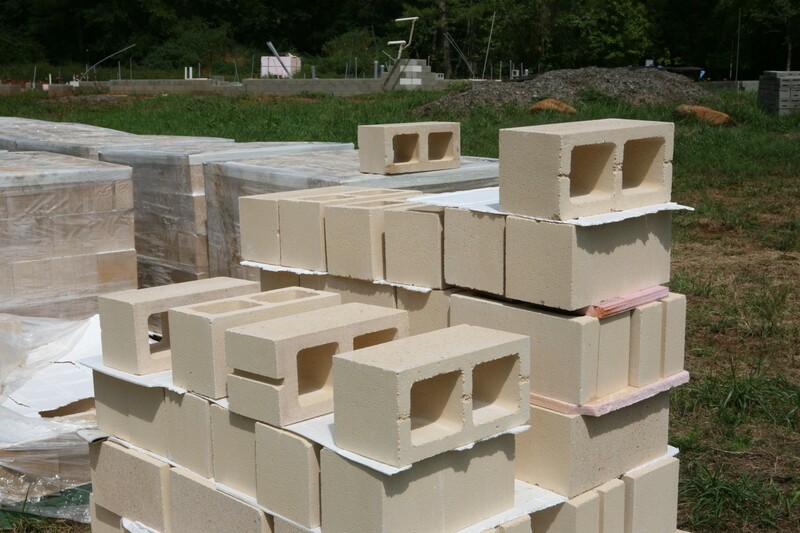 Then we have to judge how the blocks will look as they rise from 10′ to the maximum height of 24′. It will be interesting to see how well we can play our hand!